As fall begins and the weather grows cooler, television starts a new season as well. While this is by no means the most significant change heralded by the onset of autumn, it is a contender for being the most lighthearted. New series premiering this season include: Scorpion, a crime drama; Marry Me, a romantic comedy and Stalker, a procedural. With a plethora of new shows, finding one that has potential is far easier than finding one that actually lives up to its stylized commercials and previews. 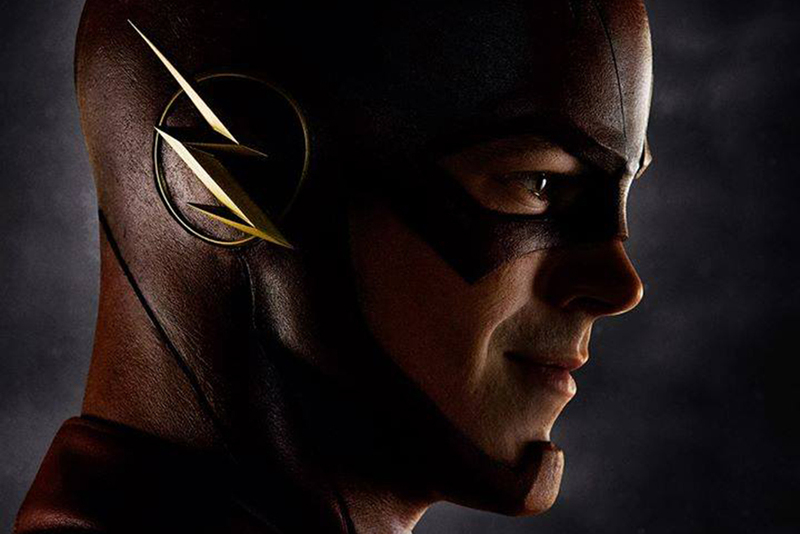 One such show is The CW’s The Flash, a modern take on Barry Allen as the titular superhero. While Marvel is happily producing movie after movie of interwoven heroes’ stories, DC seems to be content with the odd Superman or Batman movie while focusing its main filmmaking attention on television series such as Gotham, Arrow and the upcoming Constantine. This gives DC more leeway and perhaps will lead to interesting plots, which can be explored in more depth over the course of a season than is possible in a single movie. One of The Flash’s most advertised draws is its close connection to Arrow, a show about Oliver Queen becoming the Green Arrow (without ever calling himself such) that started its third season the day after The Flash first aired on Oct 7. Those who watch Arrow were treated to the first glimpses of Barry Allen, played by Grant Gustin (Glee), as well as several other main characters of The Flash earlier this year when The CW first announced plans for this spin-off series. Since then, the two shows have been irrevocably intertwined, especially since Barry Allen helped design part of Green Arrow’s costume. As such, it was important for The Flash to establish itself as a new, separate show from the very beginning; otherwise, it would merely strike viewers as an excuse to release two episodes of Arrow each week. Setting up this distinction went well for the first episode of the new series. It reiterated briefly the backstory presented in Arrow, refining the details, introducing important characters and posing several questions like any good beginning to a story. The show even encountered its first minor bad guy, a man who supposedly died only to return with the ability to control the weather. The Flash was well on its way to cementing its image as a unique show, worthy of interest for its own sake, when it decided it had not given enough credit to Arrow, and Allen ran 600 miles to ask a simple question of Queen because phones are for smart people. The first episode of The Flash sets up a superhero whose sole goal (so far at least) is to find his mother’s real murderer, and if he happens to solve other crimes along the way, so be it. In fact, Allen was contemplating this problem when he was struck by lightning, which caused him to be in a coma for nine months. When he wakes up, Allen is surprised to find that he now has powers. Allen is not, however, surprised that he woke up in a giant out-of-business facility (manned by only three people) that inexplicably appears to be fully operational minus one blown up particle accelerator and a random, conveniently labeled cage with its door pried open. In a more critical sense, while The Flash has released only a few episodes, and could very easily change course, it appears to be fraught with stilted dialog and strange resolutions to easy problems. Overall, the show can best be described as cheesy. While it could be enjoyed for its plot or its comic book focus, it is far easier to imagine viewers being entertained by its lack of believability.